From puppies to senior pets, we can provide the health care that your pet needs to stay happy and healthy. Your pet's life can actually be lengthened by routine preventive care. This includes regular exams, vaccinations, parasite control, proper nutrition, dental care, and early detection and treatment of diseases. Did you know that your pet's yearly physical examination is the equivalent of a human seeing their doctor once every seven years? 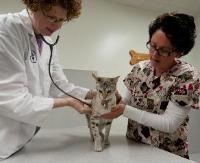 At your pet's visit, he or she will be examined from nose to tail and any necessary vaccinations will be given. Our vaccine protocols are determined by your pet's lifestyle and potential exposure to disease. We also do routine heartworm testing and intestinal parasite checks. 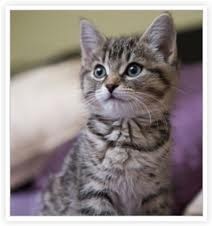 For new puppies and kittens, we have a comprehensive well care program. We are here to help you raise a happy, healthy new pet. This includes not only medical care, but also behavioral advice. Need help with housetraining? How about scratching and biting? Litterbox questions? Our doctors and staff are here to help with those questions and any other puppy and kitten behaviors that may be concerning you. Have a senior pet? Our senior pets have special needs too. Beginning at age 7, many pets will start to develop diseases similar to what we see in elderly humans. We are here to manage your elderly pet's arthritis, diabetes, thyroid abnormalities, liver and kidney disease and behavior changes. 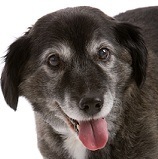 Our goal is to keep your aging pet as comfortable and happy as possible.